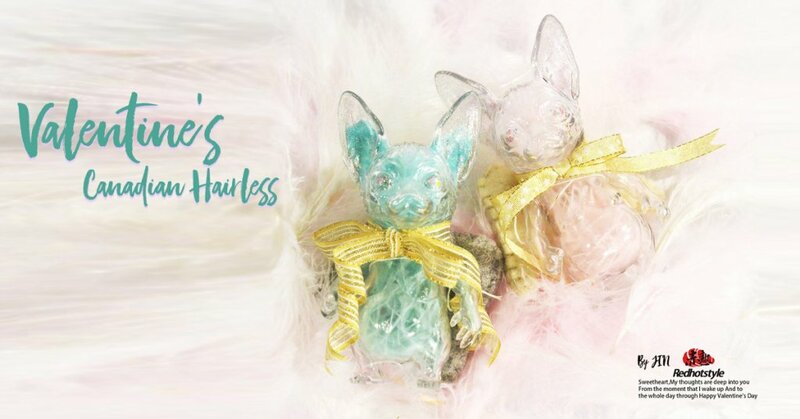 Some will smile, some will cry this Valentines Day as designer JIN takes on Red Hot Style’s famous Canadian Hairless soft vinyl figure with two new releases in time for Valentines Day! 14 pairs, up for grabs and a unique look JIN has given to the Canadian Hairless get a semi-transparent look to them, but wait! whats inside?